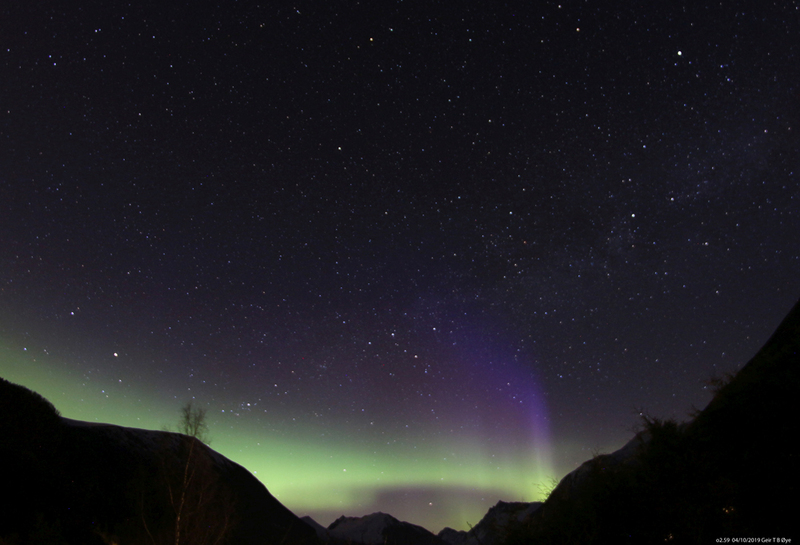 Colorful auroral activity at about 02.58 local time April 10, 2019. This entry was posted in Astronomy on April 11, 2019 by admgeiroye. ← Bright meteor. April 9, 2019.